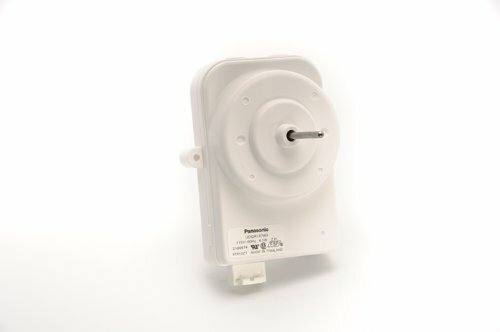 The Whirlpool 2188874 Refrigerator Condenser Motor is a fan motor that circulates the air through the refrigerator grille and cools the compressor and condenser coils. It also helps to evaporate extra water in the drain pan. It is compatible with models 10654792803, 10654793803, 7ET1FTKXRQ00, 7GR2SHWXRS00, 7GS2FHAXTA00. The unit is approximately 4.75-Inch long, 4.25-Inch wide and 5.75-Inch high. This is an OEM genuine replacement part. For nearly 100-years, the Whirlpool brand has helped people all over the world find better ways to take care of household tasks. At Whirlpool, we want our customers to live cleaner, more organized, less busy and more flavorful lives through our appliances. Every Whirlpool product is born of decades of experience creating incredibly useful features.